The good news for ecommerce website owners is that most of the features in web analytics tools are designed and built mainly for measuring the online shopping experience. You know this if you have ever run a non-ecommerce website like a blog or lead generation site. Some of the most interesting reports in tools like Google Analytics simply don’t apply to engagement-only web properties. 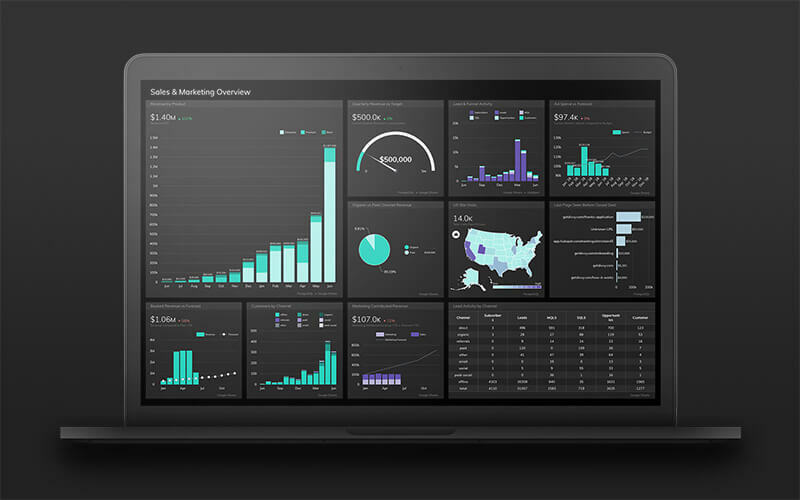 When it comes to web analytics tools, selling is the focus. Depending on your perspective and the size of your analytics team, the downside of having so many ecommerce reporting features is having so many to choose from. There is only so much time in the day. What do you focus on? What are the essential metrics for optimizing your online store and tuning a successful purchase funnel? Whether you’re just getting started selling online or are already up to your neck in ecommerce reports, keep reading for an essential list of the most important ecommerce insights and metrics to help you focus on measuring what matters. How to choose? The abundance of ecommerce web metrics and reporting features is a good problem to have, we think. Working with some of the world’s most recognized online brands since 2003, we have developed a few best practices that just about any online store can benefit from. The next time you’re ready to roll up your sleeves and dive into your ecommerce measurement and optimization plan, keep these important, time-tested considerations in mind. As you assess and optimize your ecommerce website, start measuring and making improvements from the bottom of your funnel and work your way up to acquisition and reach. Your checkout process needs to be rock solid *before* you have a long line of people waiting to buy from you. You’ll see we’ve structured our simplified list this way–starting from shopping cart insights and working our way up to acquisition. Also, you’ll notice many of the crucial ecommerce metrics we recommend below are ratios or combinations of other metrics. You’ll find these translate well across different types and sizes of ecommerce sites. As a general rule, data points without context like “Total Sales” or “Total Transactions” simply don’t convey as much information when compared to combined metrics like transactions-per-user. Metrics tell you a lot about performance but segmentation is always the key to unlocking the most valuable and actionable insights. Metrics tell you when something isn’t working, but audience segments can tell you how to fix it. Never analyze broad populations of generic “users” unless you plan to take broad, generic actions (yawn, boring). 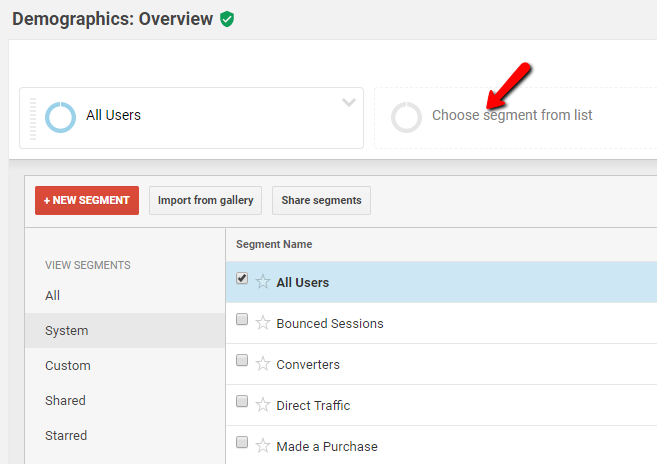 To discover or build custom segments in Google Analytics, simply click on “Choose segment from list” at the top of most report screens. There’s more about this one below, but because loyalty tells you so much about the overall health of your store and customer experience, these are segments you can’t live without. Remember, it’s typically much more efficient to retain a customer than to acquire a new one. It hasn’t always been the case, but Google Analytics has recognized this priority in making it possible to unify user sessions across devices and browsers. Who are your customers? How do they find your site and how do they behave before and after purchase? Chances are you will notice stand-out patterns that are very different from your non-customers. There is a natural bias that creeps in when we simply look at top-level analytics like time-on-site, top landing pages, and pages-per-visit without breaking it down by who is buying. Assuming you retarget cart abandoners, this is a useful segment to watch, helping you understand if cart abandonment owes to fickle or hesitant shoppers or if there are more serious problems with your checkout experience. Sadly, this warning still needs to be included in an article like this. It is too easy to open up your web analytics tool or dashboard and assume all those otherwise innocent sparklines, tables, and pie charts reflect accurate and comprehensive insights. Often, due to common analytics implementation issues like missing code, no cross-domain tracking, un-tagged campaigns and incomplete filtering, you end up with an incomplete or false picture. In our work, we see these kinds of tracking mistakes every day and at all kinds of organizations from tech-savvy startups to established, global enterprises. Always establish trust first. Get your analytics setup audited regularly to be sure you are making decisions with solid data. Is your data lying to you? Trust is the most important ingredient in any healthy relationship. Before we dive into our list, remember we are focused here on monitoring and optimizing the performance of your online shopping site versus running your business or estimating the value of an existing ecommerce property. For that, you would need a longer list full of more financial KPIs like Sales, Customer Lifetime Value (CLTV) and Return on Ad Spend (ROAS). We’ll leave those concerns to the accountants for now and make sure our ecommerce website is running at peak performance, working our way up from the bottom of our funnel. 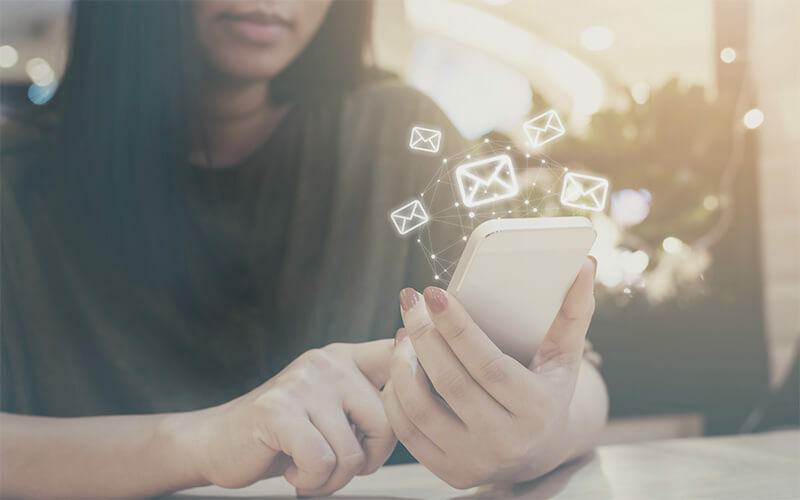 Before you spend all that money on ads, emails, and content marketing, make sure it’s not wasted on frustrated customers who will be stumbling through a less-than-ideal checkout process. They may buy something from you, but chances are they won’t want to do it again soon. It’s the simplest metric on this list but possibly the single most important one for optimizing your website. Studying it helps you eliminate choke points and wasted efforts. In nearly every instance, higher is good and lower is bad. Compare this macro-conversion rate with your micro-conversion rate below. You can start simple and track key page-by-page steps of your checkout process such as “filled out shipping address” and “entered credit card.” Later, Google Analytics can be set up to track interactions on every single form field. Obsessive? Maybe, but it’s how the big players compete. Hitting your shoppers with a Net Promoter Score (NPS) survey isn’t the right call for every site, but you should always try to gather some kind of unobtrusive proxy indicator of post-purchase satisfaction. You are gauging the all-important feeling of success a shopper should experience after handing you her credit card. This could be as simple as contributing a review, recommending-a-friend, updating email preferences, or sharing a purchase on a social feed. Google Tag Manager has made it much easier to track all kinds of interactions including a new ‘Survey’ tag and make them available to your Google Surveys and Google Analytics reports. If you can imagine it, it’s probably measurable. All else being equal, a higher rate of returning visitors is what you want. Of course, if you are investing heavily in customer acquisition, this number tends to fall, so it’s not always an absolute indicator. Generally speaking, it means you made a good first impression and your audience wants a second date (especially direct traffic). Retention is always more efficient and valuable than acquisition, in the long run, so keep this metric up front. Not everybody is ready to purchase on their first visit. Make sure you are measuring meaningful milestones for users in the consideration phase. It will be different for most sites, but typically an email newsletter signup, registration for a coupon, or a social follow or like can indicate the likelihood of future purchase and provide insight into your engaged visitors. What’s important for your site may be different for another, but combining well-thought-out events tracking with Google Analytics Goals makes it possible to set up relevant reports. 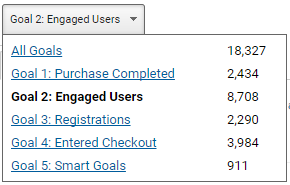 One simple way to do this in Google Analytics is by creating a set of meaningful engagement goals and assigning them varying dollar amounts. Assign relative dollar values to different goals based on your best estimates of the real-world value of the engagement milestone. For example, a visitor who subscribes to your newsletter ($10) and spent time looking up stores by zip code ($25) would end up with an overall weighted score of ($35) indicating the relative likelihood of full conversion. Similar to new vs. returning users as a loyalty signal, this metric focuses on the average number of purchases made by a user over a period of time–typically one year. It is not an absolute metric, and a “good” frequency will vary across different types of products and customer lifecycles. Monitor this regularly and look for steady improvement. Much of a decline indicates trouble (or, possibly, just changes to your product catalog). 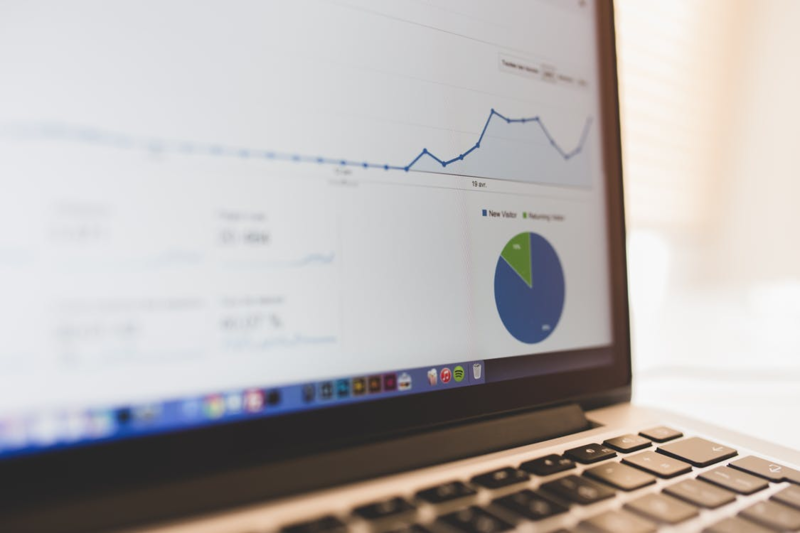 While web analytics tools can get you some of this data, the most accurate measurements here are going to come out of your backend customer systems or transaction reporting. This is really less of an ecommerce metric than a whole report that helps you understand how many marketing interactions it takes to close the deal. The insights from this kind of report will help you optimize the right marketing mix for successful shoppers. 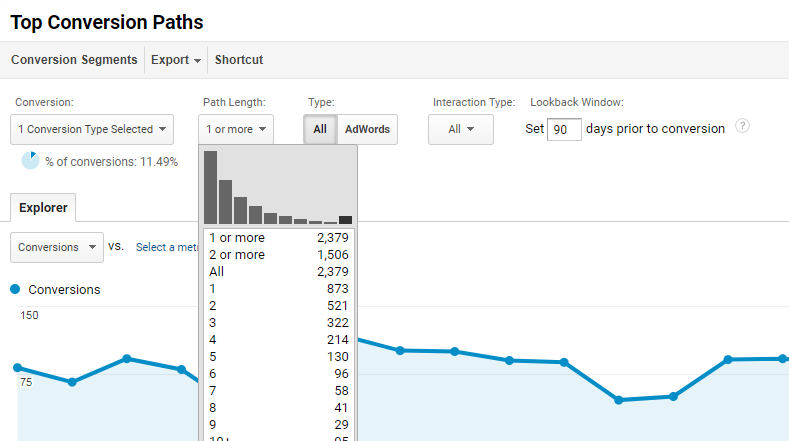 In Google Analytics, go to your Multi-Channel Funnels > Top Conversion Paths report. At the top of that report, open the Path Length drop-down to see a list of acquisitions required for a given conversion type. In the example shown, 63% of the shopping conversions required more than one marketing acquisition. It’s great that you can get so many people visiting your site from Instagram or Pinterest, but only if those users (eventually) buy something. The quantity of visitors and sessions from any given channel isn’t nearly as important as the conversion rate for a given channel, source, or marketing medium. 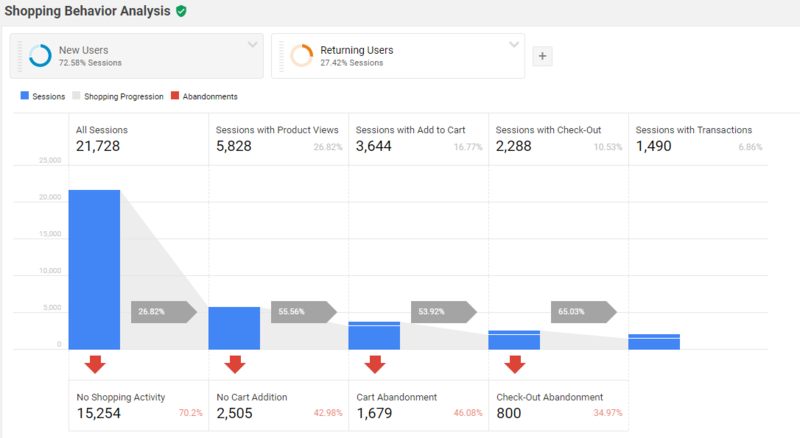 Review above for weighted goal values and ecommerce revenue per channel.In Google Analytics, there are many ways to see what kinds of marketing efforts are resulting in visitors giving you money. You can look at acquisition reports by top channels or source/medium, but our favorite is the Multi-Channel Funnel reports (see below) where you can explore top combinations of channels, mediums, sources, or landing pages alongside conversion values. In Google Analytics, there are many ways to see what kinds of marketing efforts are resulting in visitors giving you money. You can look at acquisition reports by top channels or source/medium, but our favorite is the Multi-Channel Funnel reports (see below) where you can explore top combinations of channels, mediums, sources, or landing pages alongside conversion values. Note: these reports only work well after you have thoroughly audited your analytics data and have applied meaningful Goal Values and Custom Channel Group definitions to match your marketing methods. These reports together with top landing pages help you understand the initial intent of your users. Which ads are working? What are your customers searching for? Analyze this by converting vs. non-converting segments to highlight patterns. Also, group keywords and ads into “branded,” “commercial,” and “generic” categories to segment traffic by intent. Those are our minimum essentials. There are lots more to choose from, of course, and always new ones in development. A complete toolset would include more from Google Analytics Enhanced Ecommerce reports, but those take a little more expertise to implement and maintain correctly. Did your favorite metric or report make the list? Everyone has their favorites. 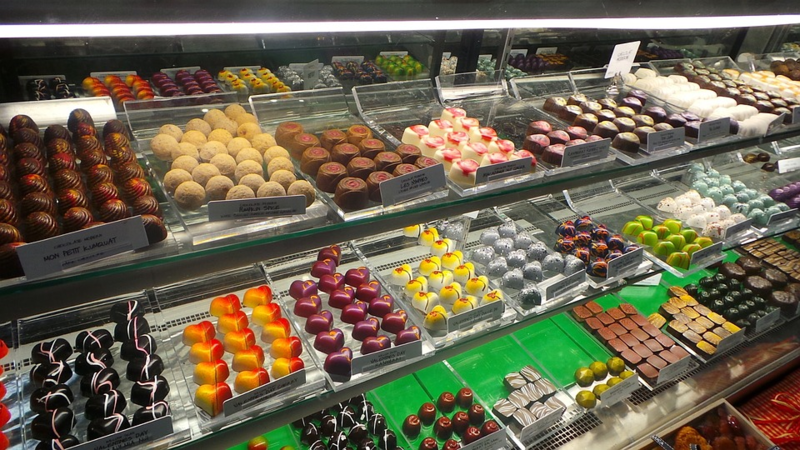 We think you’ll agree having so many to choose from is a great problem to have. Let us know in the comments or drop us a line at www.empiricalpath.com/contact. Happy selling. Jim Snyder leads the Web Analytics implementation practice at Empirical Path, a focused web analytics consultancy he helped found in 2003. A longtime web publishing and Google Analytics expert, Snyder audits, upgrades, and customizes digital measurement for clients from K Street to Silicon Valley. Jim built his deep experience in web analytics, content, and marketing in production and research roles with Weather.com, Yale University, and Georgia Tech. He also holds an MBA from the Georgia Tech College of Management. Jim began his web publishing career as part of the launch team for CNN.com. His technical skills include tag management, mobile analytics, rich media tracking, and integrations with CRM and other systems.